Tantalum Capacitors feature self-inductance of 1 nH. 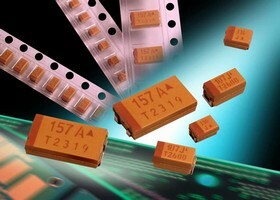 Tantalum Capacitor suits high power, low voltage converters. Offered in E (7343) case size, tantalum multianode TPM Series surface mount chip capacitors includes model that delivers capacitance of 2,200 Ã‚-µF at 2.5 V. High capacitance, along with 18 mW ESR, makes them suitable for use in high performance power applications. TPM Series of capacitors is available up to 50 Vdc and with capacitance ranging from 10-2,200 Ã‚ÂµF. 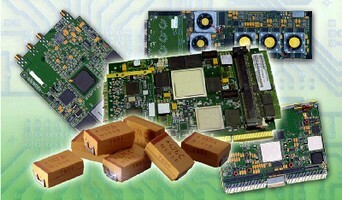 Ceramic Capacitors come in radial and axial leaded versions. 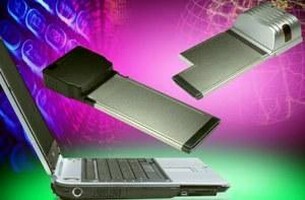 PCI ExpressCard Kits feature locking mechanism. 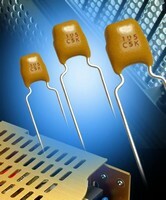 Radial Lead Capacitor withstands temperatures to 150°C. High Directivity Coupler provides ultra tight tolerance. 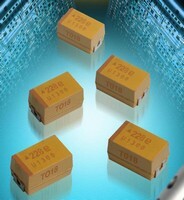 Tantalum Capacitors come in miniature T case size. PCB Connectors use IDC technology for quick assembly.